0. This was our third look with Amanda. 1. Beautiful San Francisco Apartments like hers often have exquisite details, like the black and white tile floors. 2. 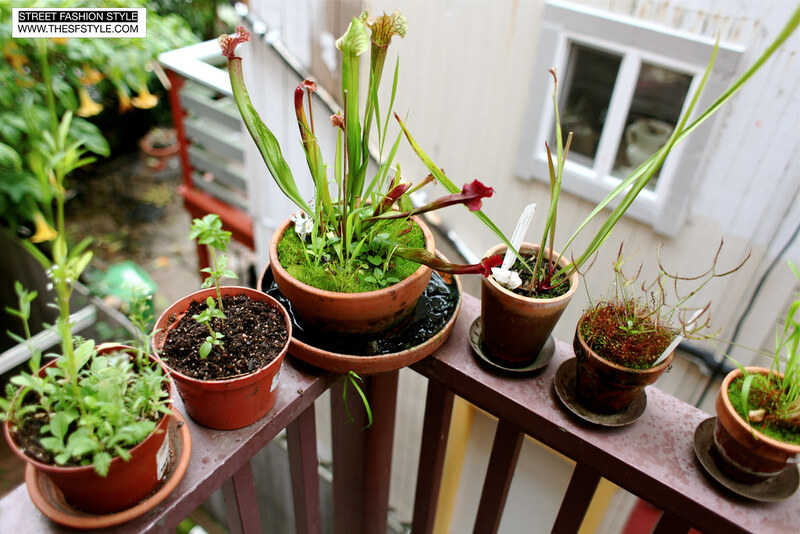 The backyard is a stairwell area where Amanda keeps her garden of carnivorous plants! Ironically, some insects actually eat and damage the plants. 3. 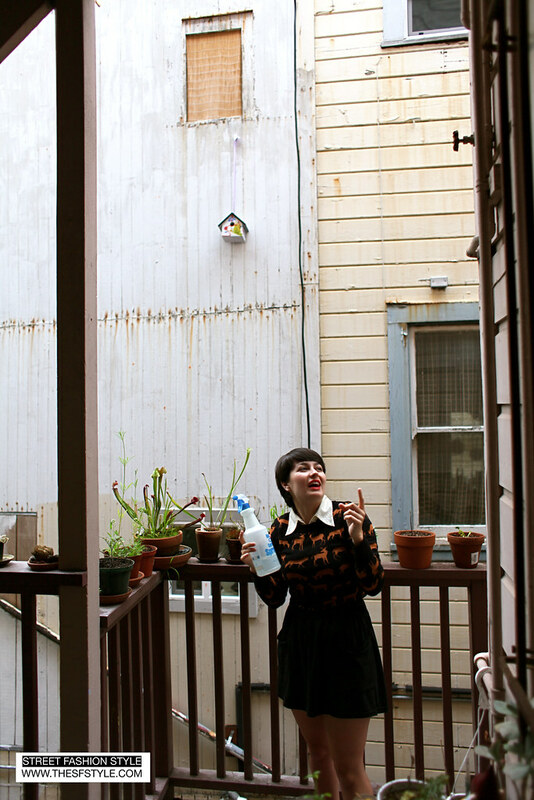 Another thing I LOVE about San Francisco is the way homes like Amanda's have that backyard stairwell--and it often connects with all the other surrounding apartments in a labyrinthian maze. If you explore it--you'll walk through narrow little corridors and crevices and run into other neighbors doing their laundry--it's kind of magical. It also makes for having house parties very interesting. 4. Speaking of parties--my friends got together to hang out with me before I left San Francisco to return to New York. (I'll be going back and forth every season). 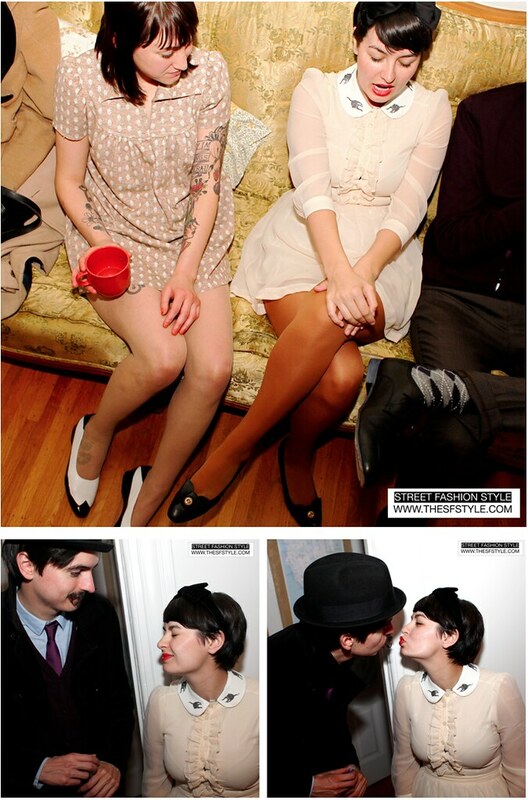 The last few photos are of Amanda and friends at our celebration. 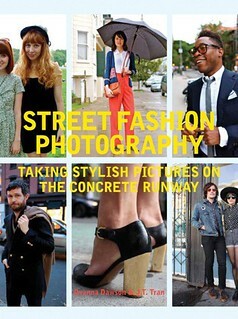 The gentleman is Greg--who's a dashing men's fashion Man-Morsel in his own right. The collar on Amanda's dress is a hand-made addition! 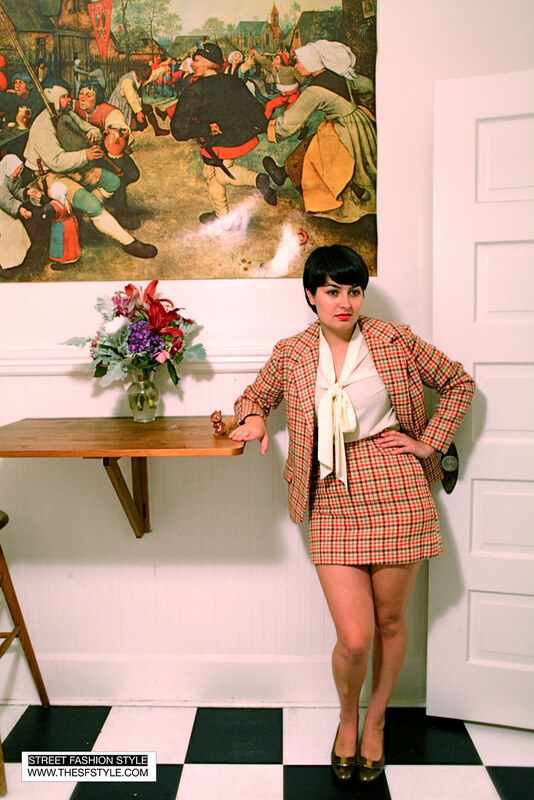 I think if you google search, you'll find style blogs that show you how to make your own separate collars which you can add to any shirt or dress you like. TOTES ADORBÉS.